“You, what happened? Are you alive?”Yeah …… my back is poked with a stick. I don’t have any memories of rising in the morning by being nudged with a stick though, is it mum? No, that right now wasn’t mum’s voice. Or rather, the sensation of what is touching this body is… grass? I gently lift my head, open my eyes and look at my counterpart.”Oh, you were alive? You, why are you at this place?”No, you too, how about you? Hair that has a light blonde colour. A medium ponytail that looks to have the tendency of swaying. No matter how you look at it, it’s an elf. As expected of an elf, quite the beauty. …… Umm …… That probably didn’t have any relation to the ponytail. That’s right, no? Since Dido-sama’s reign, it has been decided that it (T/N: the hair) is long and fluttering in the wind, right? …… No, that’s not the point here. By the way, are those violet colour contact lenses, or in short, colourcons? The person in front of me is ultra weird as well. Ah, I’m in a similar state, too. Wh-, that’s a flask made out of a gourd!? Be that as it may, I certainly calmed down slightly thanks to the water. …… Those ears, are they the real deal? …… I want to make sure by all means. 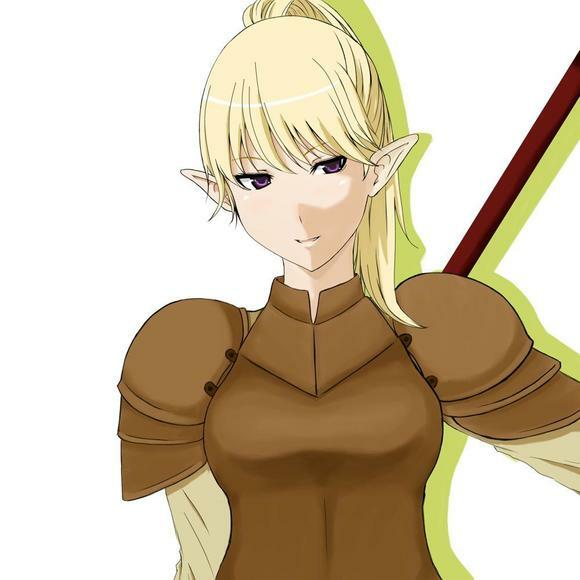 Possibly, the elf may be acting like a cosplayer-san with that appearance. Eh, she is really called elf. No, let’s check the ears for now. Once I said that, the elf made a displeased face. People having the idea of elf ear cosmetic surgery simply have that kind of personality? No good, to once again become confused, although I had once calmed down already. It’s a spear that looks heavy. So, if you gather mana, you can hold heavy things? Something like body enhancement magic? Will it be possible to double the offensive ability and defence strength? …… Currently it isn’t a situation to think about such stupid ideas. Do I ask various things of this person? No, I don’t want to give information unskilfully to a person who is armed, in a situation where I don’t understand a single thing. I properly remember the sensation of being in a dream. It’s absolutely not a feeling as if I was caught in such a haze. …… Huh? Am I not in a terribly dangerous situation right now? Sleeping at home, when I woke up …… all of the surroundings is a plain? This isn’t Japan for sure. Currently I’m not talking in Japanese. Nevertheless, I’m able to think of this language as different from English. …… No, I should say that I was saved by this. If I didn’t understand the language …… I would die. That’s not an allegory, but a fact. In front of a person holding a spear, how weak is my own position or what’s correct to say? It’s the first time since I became an adult. Such a thing like requesting to depend on the good will of another person for 100%. If the words, said by this person just now, are the entire truth, she’s an amazingly great person. At any rate, I have no choice but to believe and follow her. …… I seem to be close to vomiting out of anxiety. Look, I got a character picture from Rotofuro-sama. No way….. I really like it. Rather than the character in my brain, I feel like being able to accept this drawing of her as much preferable. Seems interesting, will wait for more chapters before judging. New WN Thanks for the chapter!!!! This could perhaps be a good story, so far it’s been okay. Hello and thanks for the trad ! The “Operator” here is a reference from the light novel “Marginal Operation”. (Great novel, I recommend it !) One of the operators had her ears chirurgically modified to make them as pointy as the elves she loves so much.